CLEVELAND, OH (WOIO) -The government shutdown continues and the focus of the 800,000 federal employees that aren’t getting a paycheck seems to be on TSA workers. Reports have been that TSA screeners are calling off of work in huge numbers putting a strain on security lines in major airports. In a news release TSA put out numbers to clear up exactly how big the problem is, or isn’t. 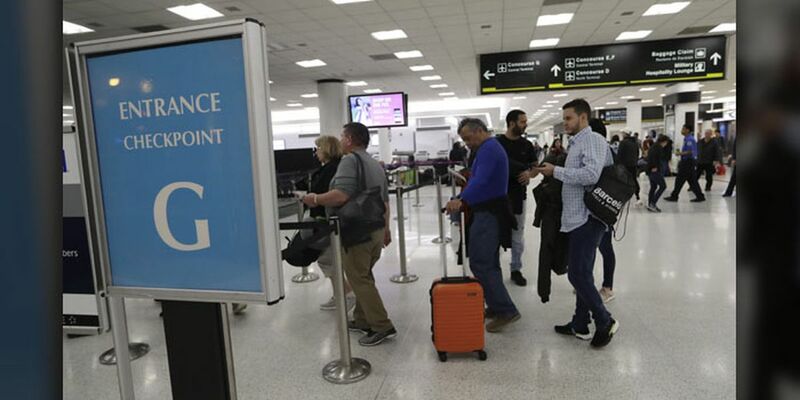 On Tuesday, Jan. 15, 2019 TSA claims 6.1 percent of it’s employees took an unscheduled day off nationwide, with many of them siting financial limitations as the reason why. For comparison, last year on the same date 3.7 employees had an unscheduled absence. “Due to security concerns, specific airport call-out information is generally not available to the public,” TSA reported. “Overall, passengers waited less than 30 minutes and 97.3 percent of passengers waited less than 15 minutes,” the TSA release said. Those wait times fall within what TSA describes as “standard” which is 30 minutes or less. “To maintain effective security standards, airports may exercise contingency plans due to call-outs and anticipated high-volume. Travelers should allow enough time to get through the airport and board their flight.,” the TSA release said. Cleveland Hopkins International Airport has an option on it’s app and website to check out wait current checkpoint wait times. Click on “checkpoint wait times" at the bottom of the screen.